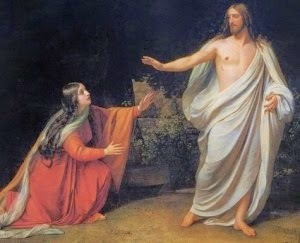 Today is Saturday, day 7 of Holy Week. Jesus has been crucified, put to death and has not been resurrected as of yet. His disciples and others are in a state of shock and despair. Fear and anxiety flowed among them as they waited to see if they too...would be arrested....found out....discovered! Have you ever experienced fear of the unknown....anxiety over what may come next? Have great hope my friend....Saturday may have been full of questions and fear-but Sunday was not!!! Questions turned into glorious answers and their fear turned into joyous celebration!! HE HAS RISEN....THE TOMB IS EMPTY was shouted through out the country side....hope... great wondrous hope was felt once again. You may know for sure....that the promise of hope is coming! Hallelujah....tomorrow we will be shouting "HE HAS RISEN...HE HAS RISEN INDEED...THE TOMB IS EMPTY!!" 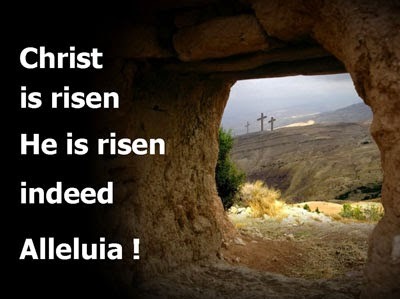 May your Resurrection Day be filled with the hope that only our Savior, Christ Jesus can bring! !